Where can we find you out and about? : Since I’m still so new to drag I’m mostly working the competition scene in NYC. Most often you can find me at Drag Wars at Pieces on Mondays. Starting Jan 10th you can find me competing in Ultimate Drag Pageant at The West End every Thursday. You can also occasionally find me hosting my own show in Westchester at Vintage Bar. I perform wherever someone will let me on stage I’ll quite literally perform for anyone anywhere. What made you start drag? : In high school I found Drag Race and knew immediately that drag was what I was meant to do. Then I went to my first gay club and saw a drag queen live for the first time and started drag about a week after. What is your number one makeup secret? : I secretly have no idea what I’m doing, Does that count? What has been the most rewarding moment in your drag career? 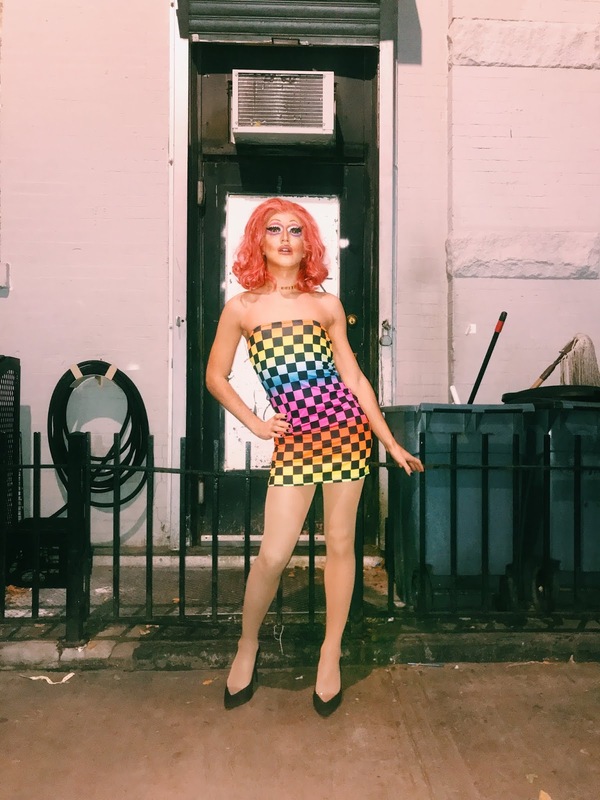 : I put together and hosted a charity show during pride weekend to benefit homeless LGBTQ+ youth and we were able to raise two thousand dollars! How can drag change the world? : Drag can change the world because drag has the power to bring people from all walks of life together to have fun and show them that we’re all not so different from one another. It shows people that life isn't that serious, we can all have fun together as one. What is the biggest tip you can give a queen starting out today? : Don’t worry about what you think you need to be or what anyone tells you that you should be, be yourself and do what makes YOU happy. Drag is meant to be fun. If you’re not having fun the audience won’t have fun. Follow @titndrag365 to see more of Boyish Charm!